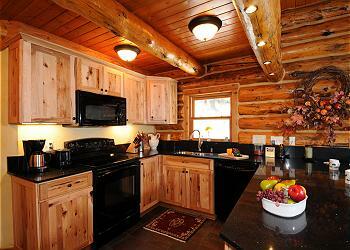 Deluxe log cabin in the foothills of the fantastic Crazy Mountains. 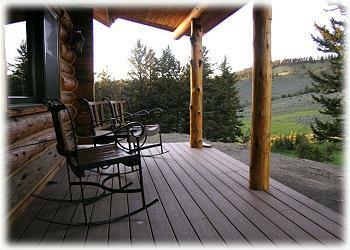 Relax on the deck and enjoy the views and visiting wildlife. Take a morning stroll or bike ride on the quiet country roads or a short drive to get to trails on National Forest land. Horse corrals are available for those of you that would like to bring your horses. 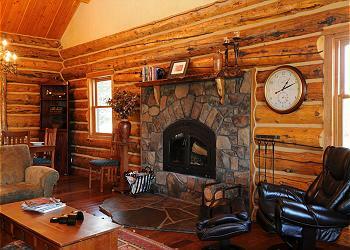 BRIEF DESCRIPTION: This log cabin is about as perfect as they come! 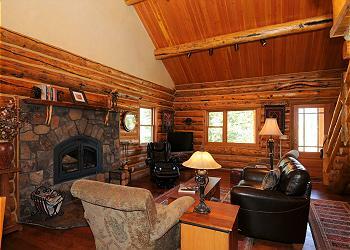 Hand hewn logs, rock fireplace, gorgeous views and total privacy! The cabin is located in the foothills of the Crazy Mountains, about 20 minute from the tiny town of Clyde Park in the Shields River valley, and about 45 minutes from Livingston. Please note, winter guests will want to have a four-wheel drive vehicle. BEDROOMS AND BATHS: The home has two bedrooms and one bathroom. 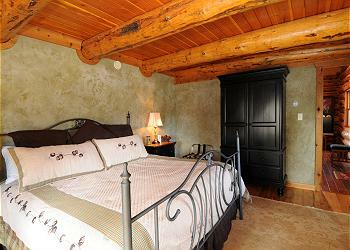 The master bedroom has a king-size bed with luxurious bedding for a restful night's sleep. 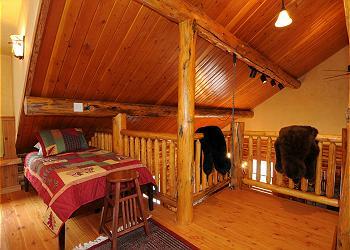 The second bedroom is actually an open loft up over the living area. 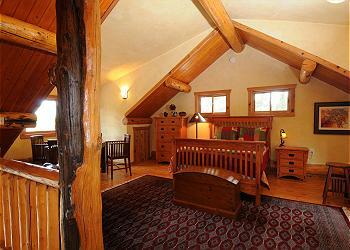 The loft bedroom is set up with a queen size bed and two additional twin beds. 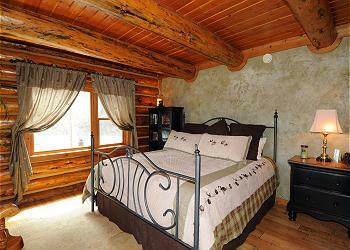 This bedroom also has the best in bedding and a warm and attractive decor. The full bathroom is on the main level of the cabin and is set up with an old fashioned claw-foot tub as well as a separate shower. Crazy Mountain Cabin can comfortably sleep six guests. KITCHEN: The kitchen opens to the dining area and has an electric range and oven, microwave, dishwasher and all the cookware and serving ware you could need. The dining table seats six and there is also stool seating at the counter. LIVING ROOM: The cozy living room has a stone fireplace and French doors to the deck. The furnishings are very tasteful, as well as comfortable. 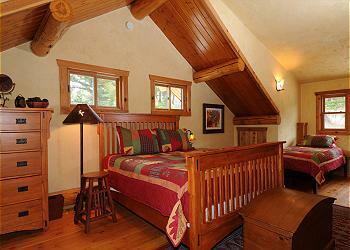 Gorgeous artwork and tapestries in the cabin really add that special touch. There is a big screen television with satellite and a DVD player, as well as some games, puzzles and books for more quiet entertainment. There are music channels available through the satellite TV, as well as an iPod docking station. SETTING, ACREAGE, VIEWS: The home sits on over 100 acres in a secluded location North of Livingston. 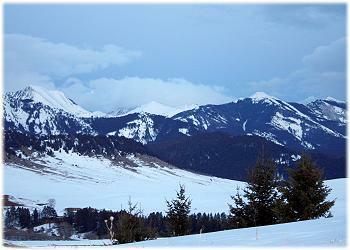 Views of the rugged Crazy Mountains is all you can see from the home! OUTDOOR AMENITIES: The home has a large deck with plenty of outdoor furniture and a gas grill. 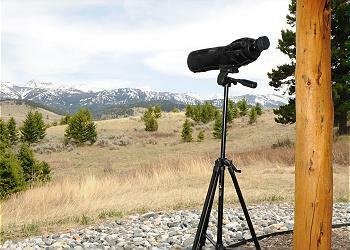 Bird and wildlife-watching opportunities abound. CLOSEST TOWN AND AIRPORT: It's about 30 to 35 miles to Livingston and 60 miles to Bozeman and Bozeman's Yellowstone International airport. ACTIVITIES NEARBY: Besides hiking and mountain biking right out the door, there is fishing, horseback riding, golf, skiing, and more! Don’t miss the adorable towns of Wilsall and Clyde Park. The towns of Livingston, Gardiner and Bozeman have an amazing array of shops and restaurants as well. Tour Yellowstone National Park which is only an hour and a half away. 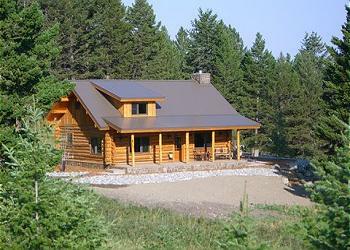 Our trip to Montana was a life long dream and the cabin was the perfect place to relax and unwind. From the majestic mountain views to the little chipmunks, rabbits and deer that came for their daily visits. It was great to come back to every night after taking in the beautiful sights of Montana and Wyoming (Yellowstone and The Grand Tetons). 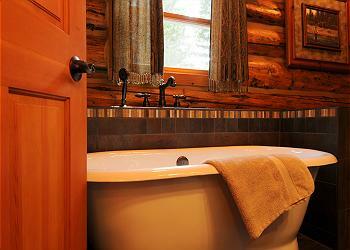 The cabin has everything you need, plus the little things you didn't expect. Thank you to the Mountain Home Staff for all of their help along the way. 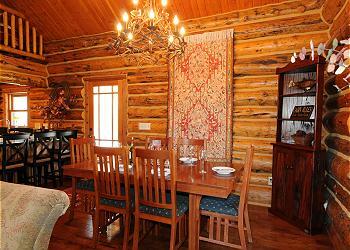 The cabin was absolutely beautiful, well-appointed, and even more comfortable than we had imagined it would be. The owner checked in with us the evening of our arrival to make sure we had made it ok. Joan was kind enough to offer us some sleds which she said she would drive up and drop off. That is going the extra mile! The scenery from the cabin is absolutely something so beautiful, peaceful, and serene that we could not hope to do justice to it in words. If you want to be completely removed from the world for a respite of peace and tranquility...this is it. A hike to the highest point on the property affords a view of five mountain ranges which surround; The Bridger, Gallatin, Absaroka, Beartooth...and Crazy Mountain ranges. Simply stunning views. Hiked and snowshoed all over the property and saw more animal sign than we could keep up with. We saw moose, deer, rabbit and mountain lion tracks. Leaving was the hardest part, but we intend to return in the summer or fall to enjoy another season and get even further up into the Crazies with an overnight hiking trip. Thank you so much for all the perfect little things about this cabin and the stunning scenery it provides. We stayed in this amazing cabin for three nights during our recent visit to the USA. It was everything we had anticipated and more. Inside and out the cabin is clean and tidy with absolutely everything you need. We couldn't have found a better place to relax and watch the wildlife stroll by. 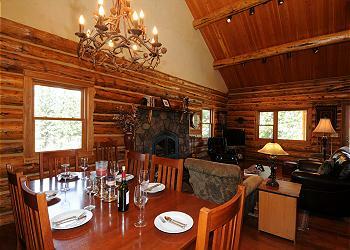 We would love to stay again if we are ever back in the area and would recommend the cabin unreservedly. My family and I had a wonderful time. The home is fantastic. 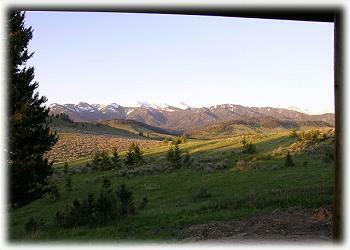 Beautiful setting, secluded, approximately 30-40 min drive to Livingston, but well worth it if you want to "get away". Great Stay at Crazy Mountain Cabin . . . 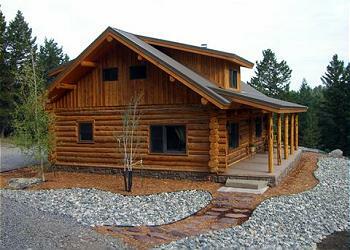 This cabin is a great place for a couple or small family. The pictures are accurate, and the setting is divine. 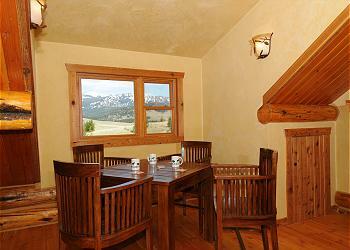 You cannot see any other homes from the cabin, and there is a spectacular view of the Crazy Mountains. The cabin is spotless, very well-equipped, nice fixtures and furniture (no feel at all of "second home" castoffs), and the Internet access works very well. The only potential downsides of this place would be that it is relatively far from any "town" activities. Livingston is about a 40 minute drive away, and Bozeman a little over an hour. So, if you are hoping to go out to eat every day, or spend time in town, it may be a bit far to drive. But we spent every day hiking (Bridger Range, Bangtail Divide, Crazy Mountains all have tons of fabulous hikes), and loved it! My mom and I stayed here for a week and what a place! 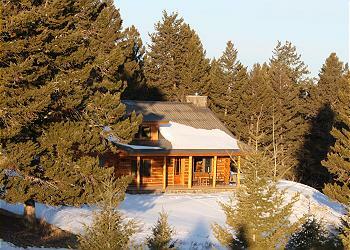 First, the privacy of the cabin and the views of the Crazies are outstanding! You don't hear a man-made sound except the occasional airplane flying over. Mom and I listened to elk bugle, watched them spar, looked at the stars, walked on the property and smelled the sage brush. It was amazing! 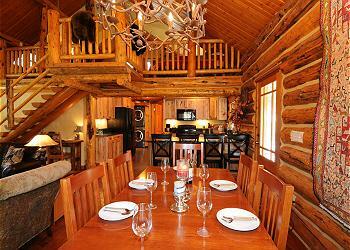 Then there is the cabin itself: wish this was my house is all I can say. The craftsmanship of the cabin is beautiful and the kitchen is well equipped for all of your cooking needs (we brought a ton of food and cooked meals every night). The fireplace was nice to have going on the nights it snowed and my mom loved sleeping in a loft. It was nice to choose from taking a bath or a shower and the beds were very comfortable. 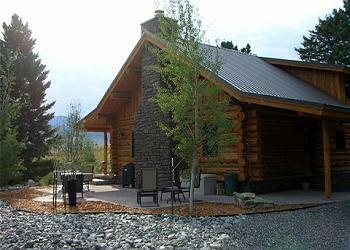 I have rented from Mountain Home in the past and will continue to rent their cabins in the future. 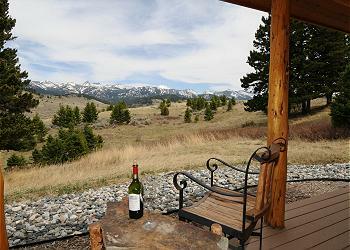 If you want a fantastic Montana vacation rental experience and you want total privacy - this is the place! Très bon service reçu dès le début de nos démarches de location. Accès facile et très bonnes instructions dans le site internet. Nous étions 6 à utiliser le chalet, 4 adultes et 2 enfants (3 et 5 ans). Nous avons passé un agréable moment dans ce chaleureux chalet. Malgré une température incertaine du printemps au Montana, nous y étions au chaud dans le chalet. Ne vous fiez pas à la météo des montagnes pour planifier vos sorties car bien différentes d'un endroit à un autre. N'hésitez pas à sortir et visitez les parcs des environs. Très belles randonnées à faire dont Palisade falls, Bozeman, Natural bridge state park, Big Timber, Mammouth Hot spring, Yellowstone Park. Faites votre épicerie à Livingstone ou Bozeman pour la variété des aliments. Comme le chalet est éloigné des grandes villes, pensez à tout ce que vous auriez besoin. Le chalet est très confortable et selon la météo, profitez de la vue du ciel la nuit, multitude d'étoiles! 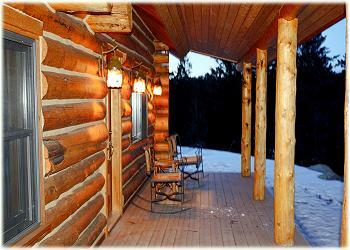 The cabin was beautiful and supplied everything we needed and more. The setting is beautiful and very peaceful. We had a great stay at the cabin and would highly recommend it!